On Monday night Fraser and I went for a run together, and while I would generally plod along at just over a 5min/km training pace when running alone, having someone to run with (and, more specifically, someone faster than I am) pushed me to lift my game a little. We finished up doing 7.5km at a 4.44min/km pace, which I was pretty pleased with given it was night, part of the run was off-road on uneven terrain, and we finished off with a reasonably steep 1km hill. Accountability – just as it’s expected that you’ll turn up for the personal training sessions you’ve paid your hard-earned dollars for, there’s an expectation for you to show up to the 6am run you planned with your best friend. Trade your friend in for an extra 30 minutes of doona time and you’re likely to cop a piece of her mind – real friends don’t leave friends hanging in the cold in the middle of winter. Motivation – we all feel a little bit lazy at times, but having someone there to spur you on to three more reps/two more kms/a final minute is exactly what you need to see some serious results. Plus it means there’s someone there to high-five you when you’re done! Healthy Competition – let’s face it, most of us have a competitive streak. Whether it’s a trait you wear like a badge of honour (like me) or something you prefer to keep hidden underneath layers of nonchalance, it’s in there somewhere. 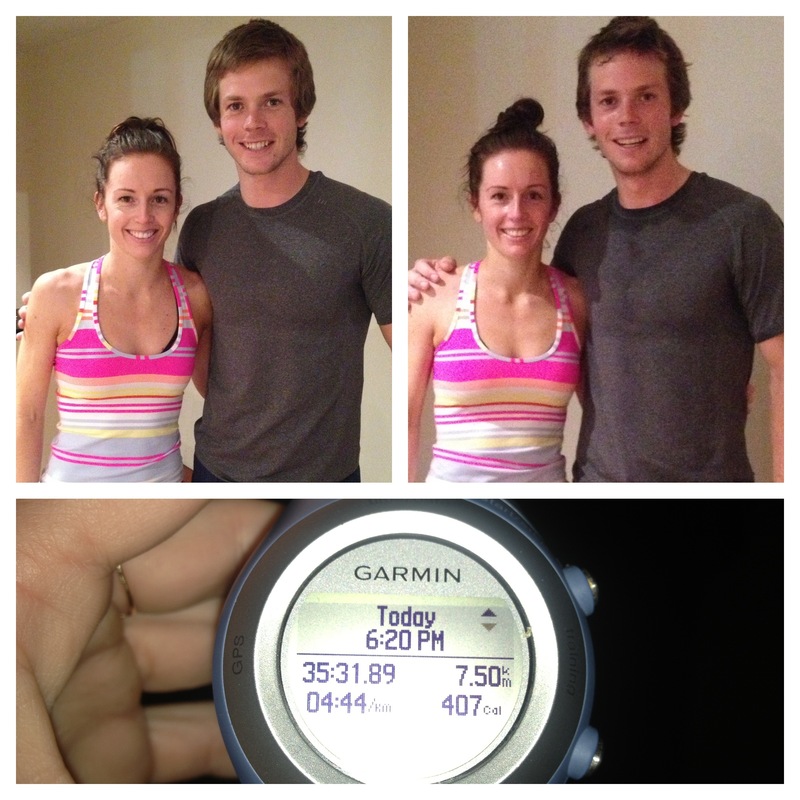 So when your training partner suggests you lift the pace for the final km of your run, you know you’re going to do it. Social Occasion – with most people working long hours and/or commuting long distances, finding time to exercise AND catch up with friends can be tough. So it makes sense to combine the two activities into one awesome catch-up/workout power session! Just make sure you don’t get so caught up in the chatter that you forget you’re there to work out! New ideas – when you’re training alone it’s easy to get stuck in an exercise rut. You do the same thing each session, because you don’t have the knowledge (or the inclination) to try something new. But when you add a partner into the mix suddenly you’ve got double the amount of workout ideas. Take it in turns to plan your sessions and ramp up the fun! If you’re struggling for motivation, a training partner could be just what you need to get you back on track. Having someone beside you challenge you, encourage you and discuss food and workout ideas with you will ensure you don’t feel so alone in your fitness bubble. So grab one of your friends and give it a whirl – I bet you’ll be surprised by the results!